Foals, supported by Alpine, performed at The Enmore over the weekend on 28th-29th of October. I’ve been an enthusiastic fan of Foals since some of their earlier albums, like “Antidotes”, so to see them live was totally incredible. Not only that, but Alpine is such a great Melbourne band who have risen to great heights with their unique synth-pop. I’m a huge fan of theirs too and on stage they were so much better that I had ever expected. Alpine, the support, is a totally unique band. Their sound is electric, alternative and synthetic, but so very alluring. For those new to the band, I’d suggest ‘Seeing Red’ or ‘Gasoline’ for starters. When you listen to their music through headphones or a sound system, you hear all the elements of the song create a holistic, polished piece, were the sound is like a jigsaw puzzle and each part of the band forms the whole sound. Live in concert, however, with the usual concert antics like unbalanced levels and maybe a bass that’s too loud, maybe the vocals are drowned a bit, I must say, Alpine’s energy and enthusiasm totally surpassed any level problem. They were so fantastic on stage. As cliché as this sounds, they performed like no-one was watching and the leading ladies were like wind-up dolls, just going nuts to their own beat. Even though the sound-recordings have perfect synthesis, this band is like a live cracker in concert. Their songs aren’t heavy with lyrics, but they are lyrically heavy. That’s when you get lyrics, however, because the majority of their songs are alternative and experimental without sounds, voices and harmonies. It’s this vocal emporium that creates their ethereal ambience, especially when the lighting has bathed the stage and audience in a deep purple. Their balanced songs build to a climax and peak with rocking guitar and a solid drum beat. Alpine live is where it’s at. The opening of the Foals set began with electro synth sounds and strobe lights that went for just long enough for me to wonder if I was in a spaceship or something. It’s a wonder there wasn’t an epilepsy warning on the concert ticket. The difference between a studio recording and a live concert is beyond comparison. The final, professional product on the album doesn’t factor in atmosphere and the band’s creative process. Live however, the opening, which was ‘Prelude’ from “Holy Fires” had each member, each instrument of the band come out separately, playing their part and it was from this and thereafter, that I noticed the careful layering of each song. Dynamically, all of their songs run to the same formula, they layer two types of guitar and bass with vocals, over a solid drum beat. These layers remain separate until they regroup in the chorus, then raise the energy levels and intensify the layers until they build to a climax, then they explode everywhere, like mentos and coke. For the layering, try Triple J hit ‘My Number’ and to feel the dynamic peak try ‘Milk and Black Spiders’- both tunes off their most recent album “Holy Fire”. They appeased the crowd by performing some of their signature songs from all their CDs, setting the mood with “Total Life Forever” and “Blue Blood”. By “Spanish Sahara” (one of their more sombre songs which I highly recommend by the way,) the audience, bathed in blue lighting, was totally at the mercy of Foals and their command of the stage. In crazy upbeat tunes like “Inhaler” and “Providence”, the uninhibited mosh pit felt no need to restrain themselves. I sat up in the balcony, acknowledging that this was as close as I was going to get with the band, until the last song, “Two Steps Twice”, where lead Yannis Philippakis snuck off the stage, up the stairs, around the balcony and leapt off into the mosh… that was totally unexpected! Foals performed one of the best live shows I have ever seen and that’s not just because of their unruly antics. Their set list was definitive, but they changed up the timing and tempo in their vocals, they pandered to the audience with their between-song guitar-drum collaboration and with great production techniques, lighting and all, the audience became part of a collective transcendental moment. Both Alpine and Foals are fantastic bands, but live, they lift the roof. GOOD FOOD MONTH- FOOD, ART AND FILMS BY THE WHARF. This October will see the Kings Street Wharf ablaze with art, culture, good food and fine wine. Every day this month, participating cafes and restaurants along the Kings Street Wharf will promise opulent meals as discounted delights for dinner, lunch or even High Tea. What’s more, every Thursday and Friday night will celebrate good food films with an outdoor cinema, allowing 100 people (first in, best dressed,) to spend their lazy summer nights in the warm air of the outdoor cinema. 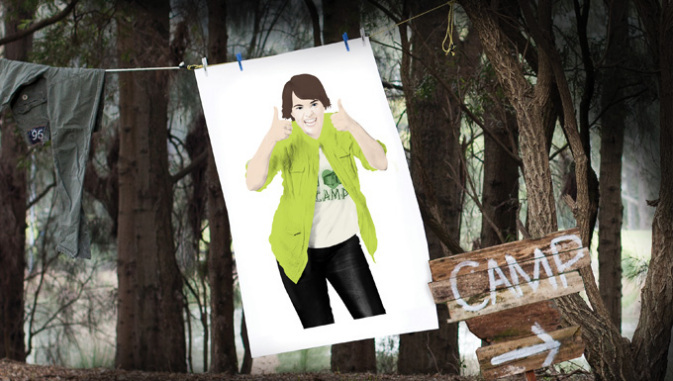 Beside that will be a pop-up exhibition of art, to appease your more cultural side. I believe this is the first time this specific event has been held for Good Food Month, but I can already guarantee that it will be a success. It really excites me to think that several of the fine dining restaurants along the same strip- the Kings Street Wharf, will all be participating in this great initiative from the Sydney Morning Herald. 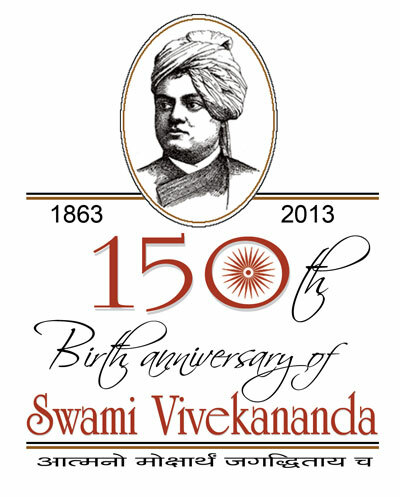 I think it’s fantastic to place an emphasis on great food, to appreciate art and to have a good night out with family and friends, surrounded by the gems which colour our earthen lives. While Kings Street Wharf is predominantly an area for adults in both their business and leisurely states, this month will turn the area into a family-friendly place as well, with the films like Ratatouille, Charlie and the Chocolate Factory and My Big Fat Greek Wedding being shown for pleasure of everyone. I had a chance to sample the Good Food Month Menu at The Malaya, a participating restaurant in the promotion. The chosen menu was sublime, a great choice for anyone and, as someone who cowers from the red on a chilli, their Chilli Prawns smacked a bite, but nothing I couldn’t handle. 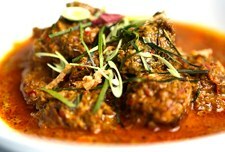 For mains, Beef Rendang and Kapitan Chicken delighted with their succulent meats and full-bodied curries. On the side, a light salad of chilli bean sprouts was refreshing and a delight, with tasty morsels hidden therein. We were graced with dessert- a choice of Black Sticky Rice Pudding with a summer taste, an Aussie tribute to an Asian delicacy, as well as balls of Chilli Chocolate Ice Cream, which were absolutely divine. I would recommend the menu to any person testing their exotic side as I would console them that the food is rich, the wine is fine, the tastes transport and The Malaya does not disappoint. If this was only one of the menus promised during Good Food Month, I’ll have to go back and try the rest! 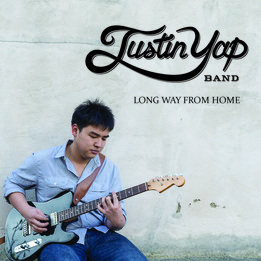 Emerging out of Melbourne’s Soul and Blues scene comes the Justin Yap Band, a great blend of blues, soul and funk. Their debut album “Long Way From Home” exhibits a great deal of talent in respecting deep-rooted traditions in the soul-blues genre. I think the best part about this band is that each of the five members contributes a unique, creative element to the band which, when played together, celebrates the sound with flair and energy. Justin Yap, the lead guitarist, shines in songs like “Nowhere Train”. His control of the electric guitar is smooth, calm and so very powerful. This opening to this song should, in my opinion, stay focused on the opening guitar solo, or devote that little riff to another, perhaps longer track. Still, the transition between this solo and main beat does indeed work. I’d just like to see each talent individually I think, where each talent is supported by the others. This is done well in their tune “Free”, where the band has slowed down the tempo a little and the here Chiara Browne’s vocals are the focal point, suave, perhaps soul-jazz. Regardless, there are some real winners when the upbeat energy of the music really carries the tune and the music is reminiscent of something wearing purple flares, or a loose-unbuttoned funky-dude in an afro. “Them Changes” manages to do this, while celebrating Oliver Rofle on Hammond keys. When they work together, it’s like a massive party but this can seem helter-skelter at times. Honestly, they’ve got really good dynamics and I think this is evident when the band isolates a sound or an instrument, by giving that instrumentalist the focus that a solo provides. They’re a great band with a real, traditional soul-funk feel. Junior Bowles is a Blues-Folk singer-songwriter with an earthy grit to his vocals and his music. His exceptional skill with the banjo and poetic lyrics really catch the listener. His sound is something colonial, something from the country and reminiscent of a sepia time with long crinoline gowns and faded shirts, untucked into britches held up by suspenders. His music is raw and energetic, like a bush dance. It’s no wonder he’s been growing in fame and success as he travels from blues festival to festival. I listened to his EP- ‘Open Your Eyes’ and was impressed by the collaboration of banjo and supporting instrumentals like percussion and tamborine. Genre-wise, I guess he falls under Blues, but he sounds a bit like Mumford and Sons and their end of the folk-stick. After listening to his EP, my curiosity lead me to venture into the rest of his music from his most recent album “The Time Will Come”. Interestingly, I think I prefer some of these tunes a little more. After a long period of listening, one can tire of banjos, but he manages to mix things up a bit with his vocals, for example, one of the main differences between ‘Open Your Eyes’ and ‘Lonely Man’ seems to be the key he sang in. Both are great tunes; their energy makes them festival tunes. ‘The Ballad of Juniper Berrie’, being a song without lyrics, is indeed banjo heavy, but his skills are faultless and the song sounds like something from a period bush dance. Rumpelstiltskin is now playing at the Marian Street Theatre For Young People from the 21st of September until the 23rd of November. 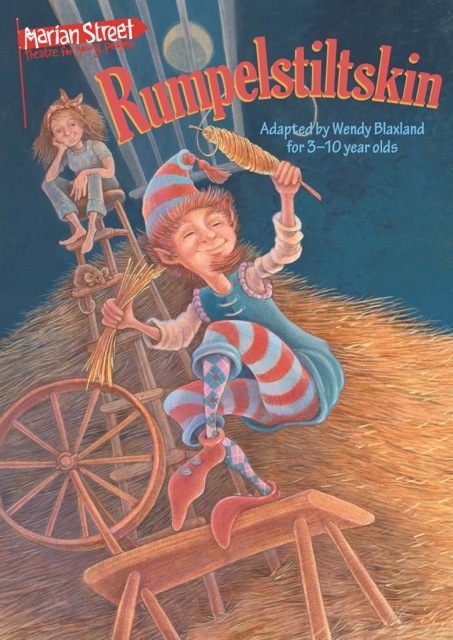 Supported by a cast of young people, Wendy Blaxland’s adaptation of the age-old tale of ‘Rumpelstiltskin’, makes the story accessible to anyone of any age. Unfortunately, I do not lie between the 3-10year old target age bracket, however from an adult’s perspective, I found the production innovative, fun and although I am aware of the Brother’s Grimm tale, I was curious to watch more. There was a little boy, aged 5(ish?) who sat next to me and became my narrator throughout the second half of the play. He informed me earnestly of inconsistencies between the performance and the fairytale, inconsistencies such as the introduction of new characters like Cheesewit, (a mouse played by Jordan Hare,) and The Removalists, who aided with swift and often hilarious scene changes. In fact, it was these additions that brought well-worn tale to life and added much needed humour, visual antics and slapstick, which the children could connect to. The little boy informed me that “the mouse isn’t in my book at home, but she’s the best part” so, commendations to the minor leads. When I attend a children’s production, I often look for little morsels for adults, some incentive for the adults to bring their kids. While there weren’t many attempts at mature humour, the dialogue, audience interaction and production techniques were dedicated wholly to the children. Because of this, they roared with laughter at the appropriate times, were able to follow the storyline, interacted with the characters when asked and the whole experience became like a traditional pantomime. When the kids around me sat on the edge of their seat, or stood with their head poking between the heads of those sitting in the row in front of them, I peered through the darkness to see their parents beaming at their children’s engagement. I think this is the consolation for parents who bring their kids- being able to sit back and see the children enjoy a theatre production. The Marian Street Theatre does very well to engage kids. The production was well cast, very articulate, performing their characters in unique and imaginative ways. Together, the small cast held the show, bouncing off each other and deeming each character, no matter how minor, crucial to the movement of the plot. They did well. Production-wise, the lighting was very effective in creating mood or framing a scene. Commendations to the stage and prop designer, for the versatility of the props and use of a small space to create fairy-worlds.